As a journalist, advocate, and professor, Michael Frome has spent decades engaged with conservation topics and has taken particular interest in America’s national parks. He draws on this experience and knowledge to address what remains to be done in order to truly value and preserve these special places. 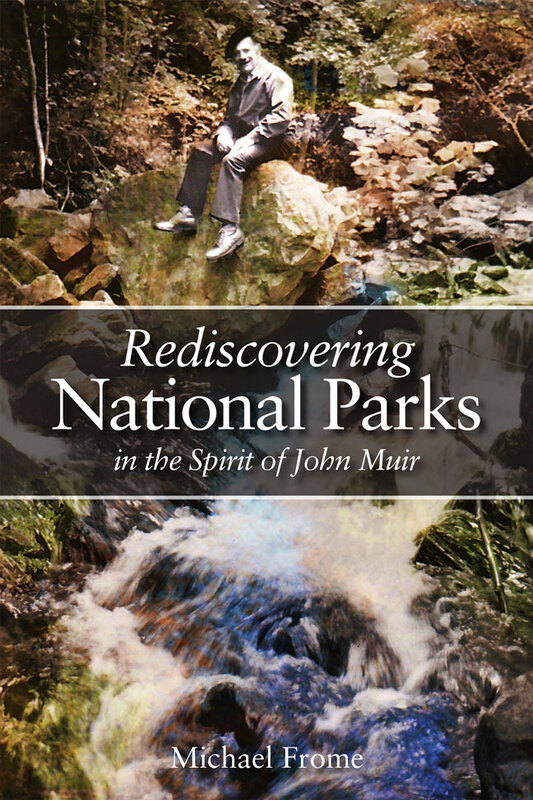 Part memoir, part history, and part broadside against those who would diminish this heritage, Rediscovering National Parks in the Spirit of John Muir, through thoughtful reflections and ruminations, bears witness to the grandeur of our parks and to the need for a renewed sense of appreciation and individual responsibility for their care. In recollections of his encounters and conversations with key people in national park history, Frome discusses park politics, conflicts between use and preservation, and impacts of commercialization. He proposes a dedicated return to the true spirit in which the parks were established, in the manner of John Muir. He advocates maintaining these lands as wild sanctuaries, places where we can find inspiration, solitude, silence, balance, and simplicity, reminding us why we must preserve our national treasures and why we need to connect with the deeper values they hold. Michael Frome is an author, educator, and tireless champion of America’s natural heritage. He has been a featured columnist in the Los Angeles Times, Field & Stream, American Forests, and Defenders of Wildlife, and has written twenty-two books, including Battle for the Wilderness (1997) and Green Ink: An Introduction to Environmental Journalism (1998). In 1995 he retired from the faculty of Western Washington University, where he directed a pioneering program in environmental journalism and writing.